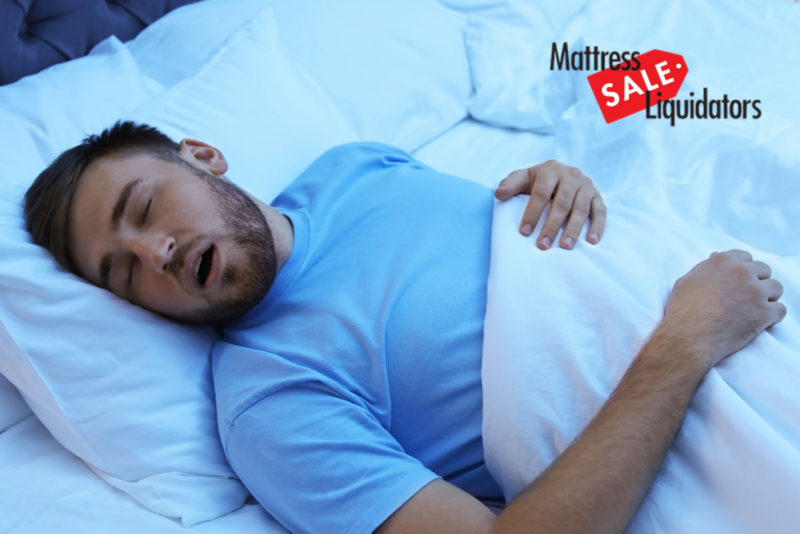 In some situations, if you are not sleeping well, San Diego residents, it can be a simple matter of heading to the mattress store to get a replacement for your old, worn out mattress that you’ve had for as long as you can remember. A mattress that is sagging in the middle is of no use to you, and the same is true if yours has picked up an unpleasant odor or if there are any rips or tears in it. However, there are some situations where the mattress is not so much the issue. It could be that you have one of the many sleep disorders that can be so tough to overcome. In this article, we’re going to go over two of those disorders and talk about how you can take steps to get past them to sleep soundly again. Obstructive sleep apnea is also sometimes called OSA, and it is relatively common in adults. If you have OSA, what’s happening is that your airway is being partially or wholly obstructed as you sleep. Apnea could be described as a cessation of airflow. It is a little scary to think about your breathing being disrupted as you sleep, but in reality, sleep apnea is rarely fatal. What is happening is that your muscles and tissues in your larynx are relaxing, assisted by gravity. This is causing a temporary blockage because there is not enough proper airflow. Snoring is what is most likely to take place when that happens rather than loss of life. If your airway is obstructed as you sleep then the air that is being inhaled cannot reach your lungs. The level of oxygen in your blood then falls, which is called hypoxemia. The brain and heart react badly to it. It causes the sufferer to wake often, and they gasp and choke as they do so. As you can imagine, San Diego, sleeping next to a person who has sleep apnea can be disturbing. It sounds as though they are struggling for breath, and their snoring and gasping is likely to keep you awake as well. Those who have it often still feel fatigued after a full night of sleep. They may suffer from headaches throughout the day, and feelings of weakness or dizziness. The instances of stroke in people who have it are often higher, in addition to obesity and high blood pressure. Those who have sleep apnea are frequently overweight, and males between the ages of 40 and 60 are most likely to develop it. A simple trip to the mattress store is not going to fix this problem. Instead, exercise and a well-balanced diet to try and induce weight loss are going to be the most likely solutions to this issue. It’s also helpful for those that have it to start sleeping on their stomachs or their sides. Those who sleep on their backs have the most difficult time breathing if they are trying to work through this malady. If you believe you’re dealing with sleep apnea or your partner reports that you snore a lot, which can be an indicator, you may want to head to a sleep lab to get yourself checked out. Your doctor should be able to give you some additional suggestions, and this is not something that you should put off. Lack of sleep is just one of the problems associated with OSA. The other sleep problem we’re going to talk about today is restless legs syndrome, or RLS. RLS is one of the so-called movement disorders that some people in San Diego must deal with when they are at rest. It’s also known as Ekborn Syndrome. RLS sufferers feel the strong desire to move their lower limbs as they’re resting. They might be aware of it as they are drifting off to sleep, or it might happen when they are fully asleep. The feeling of RLS has sometimes been described as having pins and needles in the legs. In the evenings when the person with RLS is growing drowsy, they begin to notice it more. Moving their limbs causes relief of this feeling, so if they feel a bout of it coming on when they are still awake, they may start moving their legs voluntarily to relieve these unpleasant sensations.